What is a natural light shooter? Natural light can be perfect for some situations, like this photograph of this happy boy and his father. So many photographers today advertise themselves as “natural light” or “available light” photographers. The idea is to persuade their clients that their shoots are natural, honest, free of the popping light of flash photography. What I read is that these people are openly admitting (and somehow throwing on a positive spin) that they are intimidated by off camera lighting and wish to stay well within their comfort zone. The truth is, many of these natural light photographers obviously have a great love for picture taking, spent many hours behind the lens, and have an extensive knowledge of how to use their cameras and create desirable imaging. I can tell by the beautiful images that span the 100% width of their website’s home page. And when you only need an hour to shoot in the summer when the sun starts to fall perfectly into the trees, you really don’t have to carry around or use lighting gear to capture a young family for their annual photo shoot. But what they are advertising as an advantage is exactly what allows Next Level Photography to say yes to many of the jobs that these photographers are forced to decline. This is part of what makes us a professional photography business. Do you have an actual studio? Knowledgeable customers, particularly business or commercial customers, who are weeding out non-professional photographers will ask this question. I have been asked this question hundreds of times. Having a studio not only provides the space and organization to do business, but with so many talented hobbyist photographers advertising their services, it is an obvious differentiator between a mom-with-a-camera and a full time, serious, professional photography service. While hobbyists advertise how they are “natural light” photographers first thing on their website, we proudly show pictures of our studio location. We love to be hired to photograph events and weddings. They are challenging, can be long, we have limited control, venues are usually dim or poorly lit, and lots of things can go wrong for a photographer. Bring it! There are always two of us and we love to shoot all day long. We’re professional and know how to work with the staff and event planners to ensure you get the shots you expect. We enjoy meeting and working with new people. We know where to set up our lighting so you get bright, clean, sharp, vivid photography when available light just doesn’t cut it. And we bring back ups, so when the day comes that something of ours doesn’t want to work – you won’t even know it. Another thing that you can’t pull off without knowledge and use of professional lighting is isolating objects, people, or pets on a white background. This is not an ideal job for Photoshop, you need to get this right, right out of the camera. Places like Amazon now require you to use professional images with a full white background if you want to sell on their site. Catalogs and magazines often request products and models to be isolated on white. Also known as chroma-key. Not only does the subject need to be properly lit, but the green screen needs to be evenly lit to easily remove the subject from it in post production. 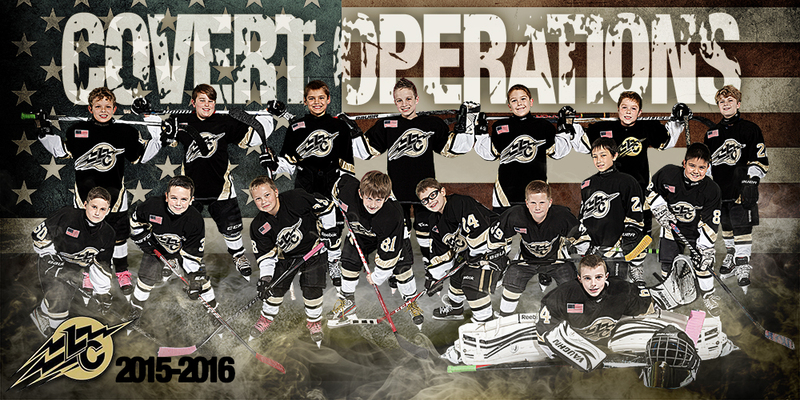 This hockey team’s team photo was made by photographing each child separately on a green screen, extracting each player, then creating the composite in Photoshop.